Winters are weaving us good bye and summers are approaching us just from around the corner. To be honest i wanted this cold season to stay little long before the screeching heat of summers approaches us but alas we have to accept the reality and be prepared for what is next. The summers must be all about comfortable light materiel wardrobe but it doesn't mean we can not wear some trendy face turning dresses. I know the first thing summer brings in women's mind is lawn suits but there are some other pieces should be present in your wardrobe to make you look different and comfortable. Women's Clothing Online Shopping have made it easy to buy any thing you want just from your computer. 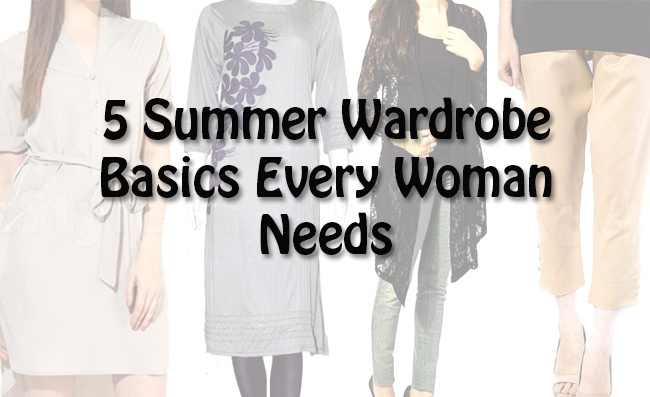 In today's post i am going to share 5 must have wardrobe basics which you should have this summer. Lets talk about Women's tops first. Cotton or lawn solid color kurti with light thread embroidery or classic stitches is one thing you should not miss in summers. It is the most comfortable wear with its loose fit and perfect materiel. You can pair it with tights and wear them for day out with friends or a long day at work. You can never go wrong with solid color choice it is never out of fashion and makes you more prominent in the crowd. Collar, cuff and buttons isn't it the perfect thing to look decent yet stylish. In past few years this style tunic has been very famous and i bet this year it is going to be in fashion as well. A mid length plain tunic with split neck and folded half sleeves is perfect choice to wear at work or academics. The added belt feature adds an extra bit of glamours touch to it. In formal dresses outer coats and gowns are so much in fashion nowadays and at the same time we love shrugs in winters so why not have something similar in summers. These net shrugs are simply amazing. Wear it with short length top and with comfortable jeans and you look perfect to go out with your friends for shopping, watching movie or for any other causal event. Cigarette Pants have been the most favorite fashion trend last year and it is going to stay this year as well. These are perfect to wear with medium length, plain or printed tops and yet with just changing the top you can make them work form day to night look. These trendy pants are comfortable to wear for whole day at work or for any event and add a glamorous touch to your outfit. 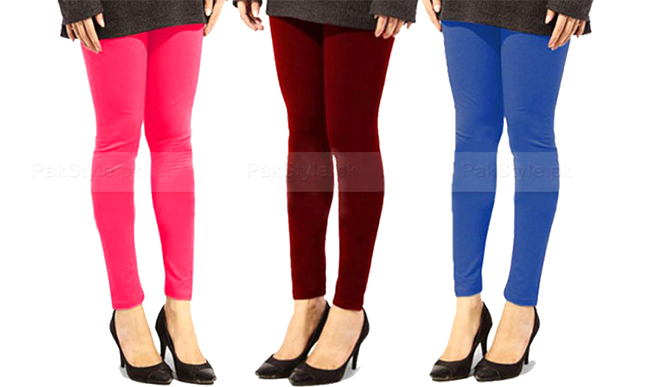 Coming towards the Women's Tights, when there is nothing to complement your top there is always a plain neutral color tights which will save your day. I must say you need to have few pairs of tights in your wardrobe. They go perfect with long, short, floral plain or any other type of top and work best for any type of event and time. On top of that when you have them in cotton materiel these can be your best friends in summer. I hope you enjoy reading this post. What are your picks in this summer which make you comfortable yet stylish?